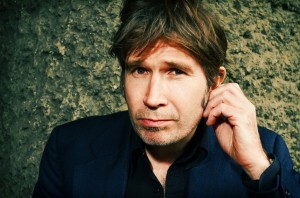 Si Hawkins: Just a few minutes into a perfectly good-natured chat with Justin Currie, I suddenly feel the need to make an embarrassing, tone-altering admission. Currie was, and soon will be again, the lead singer of Del Amitri, a band seemingly destined never to be hip, and an easy target for those of us who favoured the trendier Britpop outfits in the 1990s. I mocked their output more regularly than most, due to a couple of pals who’d play their albums on an endless loop during our long trips to watch the then similarly unfashionable Leyton Orient FC. Actually Currie’s mournful sentiments were often pretty apt after a miserable away defeat, and – whisper it – I secretly rather liked some of those jangly guitar tunes. Still, the constant rotation led to an inappropriate amount of back-seat invective that, many years later, I find myself confessing to him. Rather than take offence, Currie apologises for the torment then becomes rather confessional too. PS AUDIO: Do machines have souls?